It all comes down to Sunday. We’ve all heard it before (many, many times). 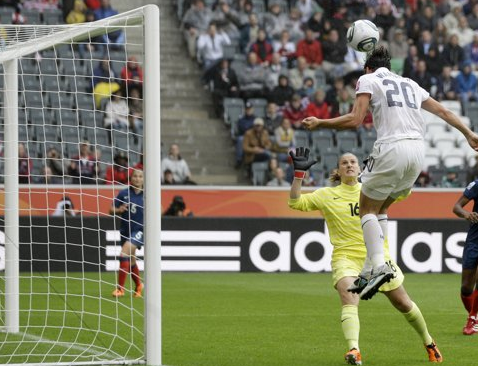 The US women are in the World Cup final for the first time since 1999. Many wondered if they would have a letdown in their semifinal match against France following the emotional quarterfinal win over Brazil. In truth, they didn’t play very well. But they had more goals at the end of the game and that’s what matters. In fact, the US women have not played well for most of the tournament. Their best moments have come with their backs against the wall in the Brazil match, playing down a man for the final 55 minutes. They have not seemed to play with a sense of urgency until they realize they are running out of time, something that cost them when they gave up the tying goal to the French. However, the Americans have been playing with a chip on their shoulder. They are tired of hearing “since ’99,” and so they play with the mentality that they will not lose, regardless of the quality of their play. It’s like they know that they’ll score (on a Abby Wambach far post header, perhaps?) at exactly the right time to swing the momentum in their favor. However, in Japan the US will face an opponent that is playing for something much more than a sporting legacy. The team has dedicated its World Cup play to its country, which is recovering from the devastating earthquake and tsunami in March. They are playing for respect and pride in their nation, and that spirit and community gives the team something special to fight for. It won’t be easy for the US to defeat Japan on Sunday. The Japanese are technically sound and have only gotten better as the tournament has gone on (save the 2-0 loss to England). 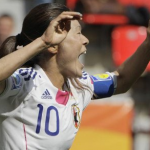 The Japanese will control the midfield; they have done it in every game, and will continue to do so against Shannon Boxx and Carli Lloyd, who have both struggled throughout the tournament. Japan’s veteran leader Homare Sawa does a great job in the middle. She distributes well to the outside and she’s a threat in the air (with three header goals in the tournament). The struggle for Japan will be that they will be facing a stronger defense backed by the best keeper in the world. Yes, Hope Solo made some mistakes last game. She gave the ball away with her feet in the box but, thankfully, Necib couldn’t capitalize. She also should have done better on the French goal. However, that was the first goal given up by the US for which Solo shares some fault. Japan got a lot of help from Sweden’s keeper, but they will not get the same gifts on Sunday with Solo in net. USA’s defense is also stronger than Sweden, and although they’ve been prone to mistakes, captain Christine Rampone is always there to clean up after her younger teammates. The US is the stronger team offensively. Wambach, O’Reilly and Cheney, along with supersubs Rapinoe and Morgan, have all scored this tournament. The team may not be dominant, but they know how to to hit the target and score important goals. Japan is the opposite. They can dominate and control the run of play, but they struggle to create and capitalize on dangerous chances. Sunday’s final will be a tight match-up. 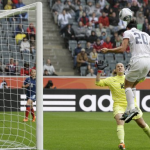 Japan will control the ball, but the US will be the team that finds the back of the net. Let’s hope the USWNT can maintain possession today. We don’t want to have to chase Japan all over the park on some legs which must be tired now playing their sixth match of the competition. Hi Webmaster, commenters and everybody else !!! The blog was absolutely fantastic! Lots of great information and inspiration, both of which we all need!Keep em coming you all do such a great job at such Concepts cant tell you how much I, for one appreciate all you do!